Whew! I’ve just completed my second Whole30 in a row. Granted I did have wine twice and about a 1/4 inch square piece of a smores poptart, but other than that I’ve been totally, 100% compliant, which is pretty impressive if you ask me. I’m still loving the food and still not so much loving the cooking but I get it done week after week because I know that’s what needs to happen. I did get a new kitchen gadget that I’m loving and that is helping me cook healthy and quick. It’s called an Instant Pot, or InstaPot, and it’s a 7 in 1 device that acts as a crock pot, pressure cooker, and other features I haven’t used yet. I love the pressure cooker setting! I made the most tender amazing beef roast in it tonight and also an entire chicken. It’s really good for making bone broth too, which is really good for helping to heal the gut. I also made some chicken hash with shredded sweet potatoes, granny smith apples, and chicken thighs as well as some spaghetti squash chow mien. Hopefully it’s all good because this is what I’m eating this week. Now for the bummer part of my post. I’m really not making any progress 😦 I continue to eat real, whole, not processed foods because I know that is what my body needs but I’m still super tired and not seeing any changes to my body (outside or inside). 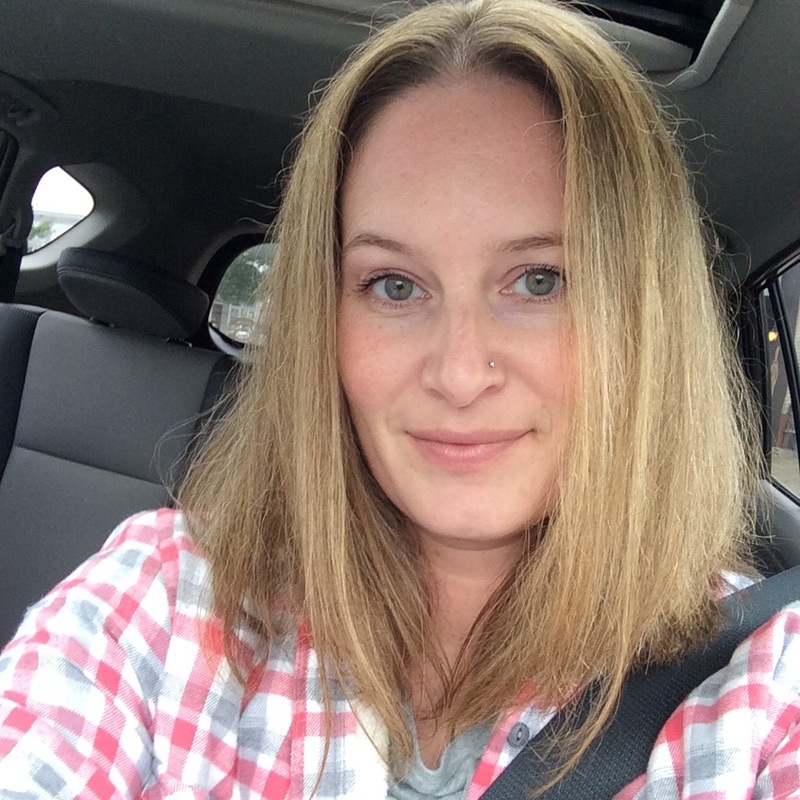 I’ve been on my current medications for a month now and really thought I’d start to see some improvements. My weight has stayed roughly the same as where it was after my first 30 days (within a pound or two either lower or higher depending on the day) and my clothes fit the same. I really feel like until I get on thyroid medications I’m not going to see the changes I’m looking to see. I’m really trying not to be too down on myself because I know I’m doing everything I can. I also know I didn’t make myself sick overnight so I can’t expect to be healed overnight either. I just have a hard time being patient when I know there are other things that can be done and it’s not me holding back the progress. Yep, I still have another month to go before I see my doctor again. I even called the office today hoping to get a call back but I haven’t heard anything yet. They decided to close their doors for two months so I’m just on stand-still and that really bothers me. I haven’t been as good on the exercise front as I had meant to be. I posted two weeks ago that I was going to start lifting and that hasn’t happened. I know it’s an excuse of sorts but they day I had planned on going after work I ended up having to stay four extra hours and I’ve just been exhausted with some really long, really wet and windy, work days. I have been doing yoga 3-4 times a week though and I really am enjoying that. I feel like it doesn’t exhaust me as bad as a hard workout does and for now I think that’s what my body needs. Well thank god my non-superstition worked out because I woke up feeling much better today than day 12. I still wasn’t in the mood for too much BS (but who ever really is), but I didn’t cry or even feel like it so I call it a win. It’s finally my weekend and I’m heading to bed ASAP. I have a get-together planned for what would normally be my mid-sleep. Luckily I can come back home and sleep more. Man I love weekends! I decided to start my day off right with one of my absolute favorites so far. 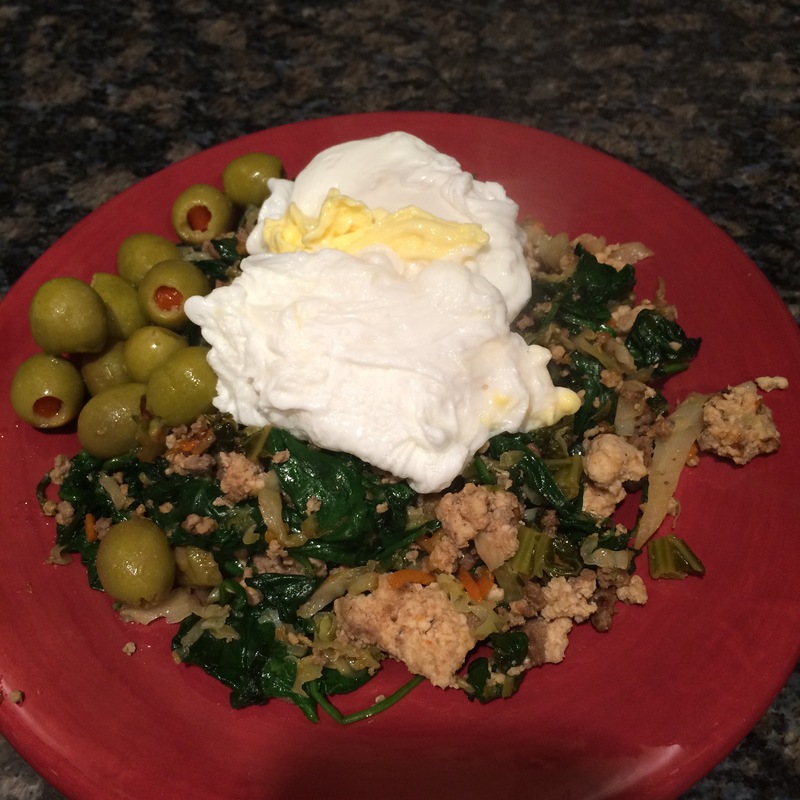 Wilted spinach mixed into some crack slaw, topped with two poached eggs. So good! And a side of green olives, you know why! I really am going to make some more sauces for next week for a little variety. I’d love to hear how you all get your fats in at each meal. If you have any tips or favorites let me know. 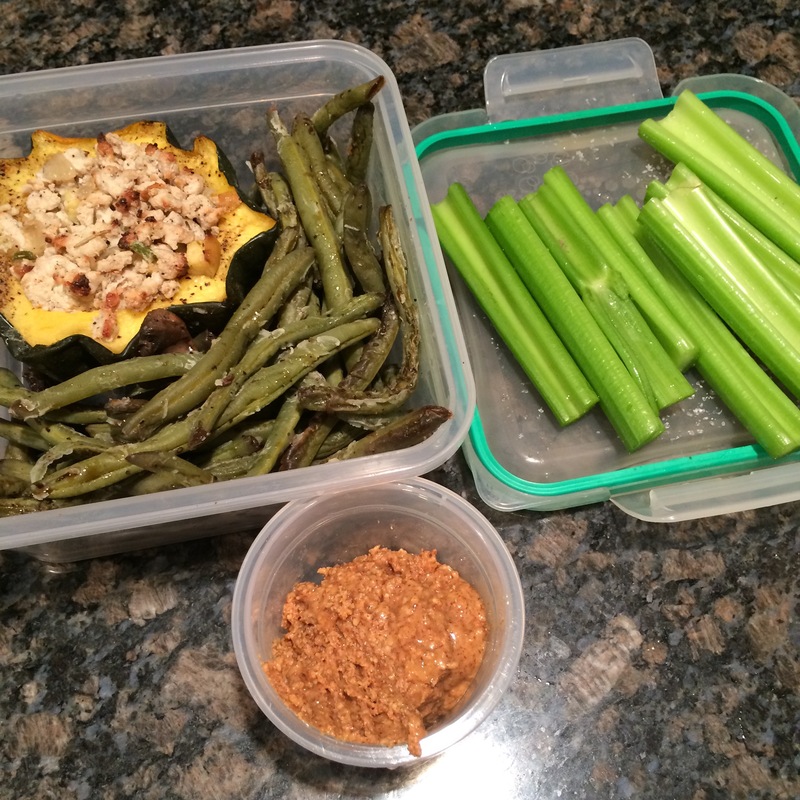 I had a stuffed acorn squash, green beans and mushrooms, and some raw celery and almond butter. Very satisfying! I was going to skip dinner. I know, totally not in the rule book but I wanted to get to bed. I noticed I was hungry when I walked in the door so I made the quickest thing I could find and I’m sure I’ll sleep better not having a rumbly, hungry stomach. 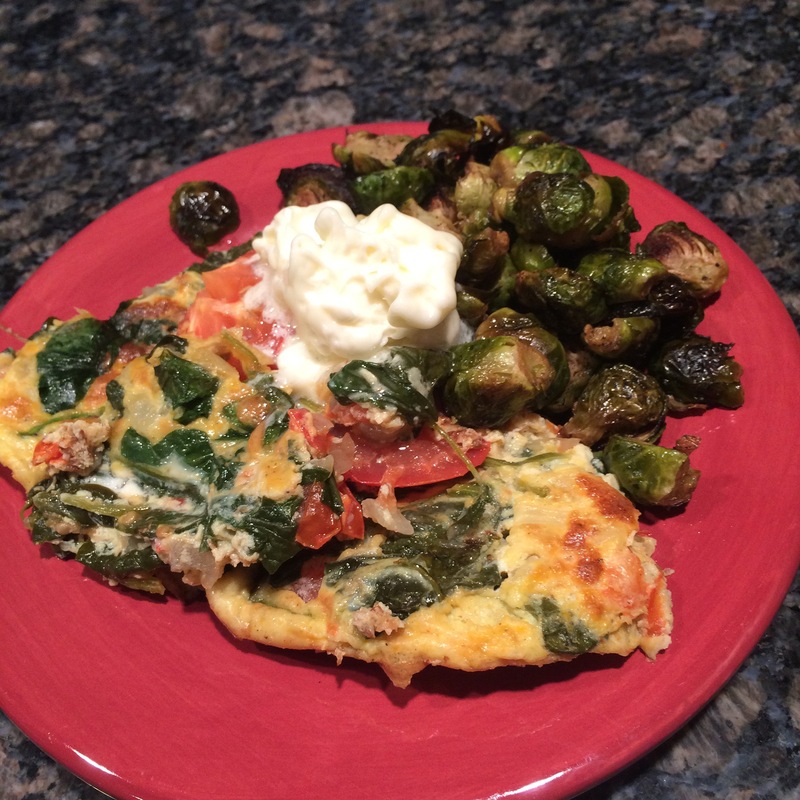 I had the spinach and tomato frittata, roasted brussels sprouts, and topped it with a dollop of mayo. It may sound weird but I’m telling you what, homemade mayo tastes so different than store bought and it works really nice as a sauce especially on hot foods because it kinda melts into everything. On top of that it works! I’m not even kidding when I say I think I’ve eaten more vegetables in the past 13 days than I have in my entire life. I might be slightly exaggerating about the whole life thing but I bet it’s close. I even like vegetables but I just never took the time to prepare them much in the past. I mostly ate salads because they were easy. I still find this process to be mostly easy as long as I’m doing the food prep on the weekends. I’ve said it before but it’s worth repeating, I would have failed at this long ago if I would have had to cook every meal at the time I was getting ready to eat it. My schedule just does not allow for that. I have to think that in this day and age there are more people in my situation than not, and if doing something like the Whole30 doesn’t seem attainable to you because of time then pre-cooking everything is a great option. I haven’t found anything to taste less good for being stored in the refrigerator….except maybe the roasted brussels sprouts. They lose their crunch but are still good reheated. If there’s a will there’s a way! Today’s blog is going to be short and sweet. I’m already two or three hours past the time I normally go to bed since I went and got my hair done today! I’m loving the new blondness. Overall I’m feeling really great on Whole30. I don’t have crazy energy going on, but I do feel better than I did and my sleep is better no doubt. Speaking of which, my pillow is calling my name. 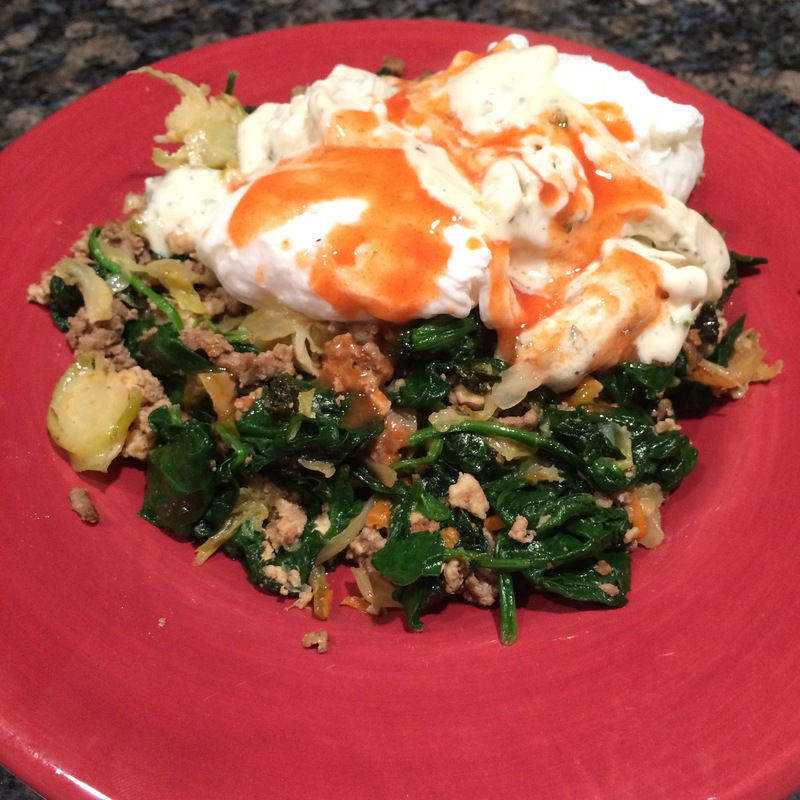 I mixed wilted spinach with some crack slaw and had two poached eggs. I could seriously eat this for every breakfast, maybe forever. I love it that much! I topped it all with the last bit of ranch dressing I had left. I’m making a mental note for next week to make more sauces I can use for fats. I feel so redundant either eating olives or avocados…not that I really mind. 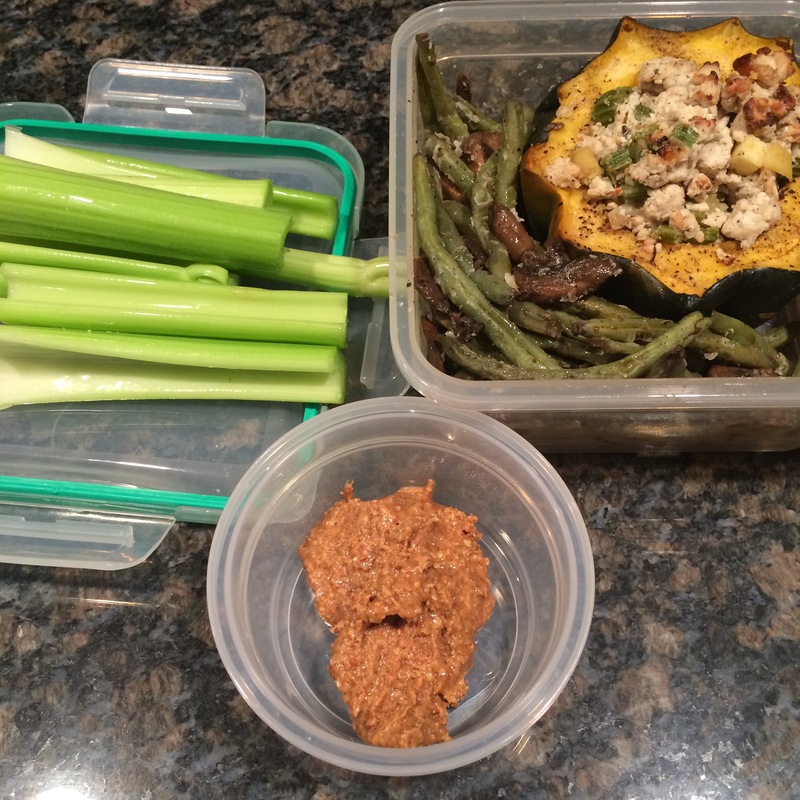 Lunch was a half of a stuffed acorn squash which has seasoned ground turkey in it, which still reminds me of stovetop stuffing (I like it) and a side of green beans with mushrooms. I also had some raw celery with almond butter. 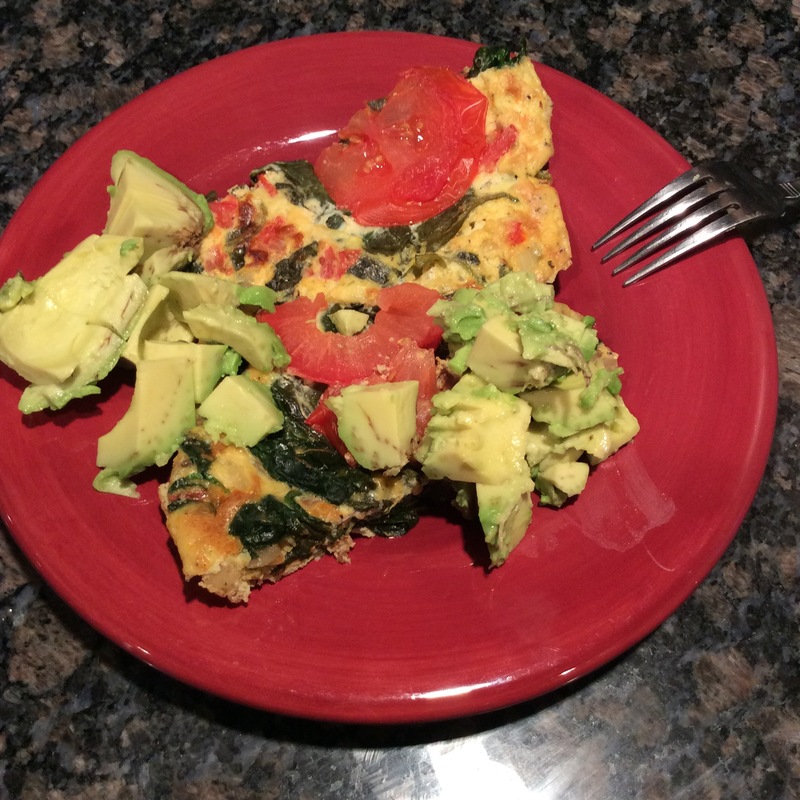 I reheated some of the spinach and tomato frittata I had made ahead of time. This was nice since I was running short on time today. I topped it off with an avocado and some Frank’s Red Hot Sauce! Such a good combination. I think adding some ground meat in this would be really delicious. Someone mentioned to me that they think that I’m more upbeat lately. I’d have to agree. While I’m still not feeling as amazing and energetic as I know I can, I am feeling better in general than I have for a long time. Top that off with the fact that I have hope in actually getting help from my new doctor and I’m making really good choices for my body with all the good food I’m eating and I’m a pretty happy girl!